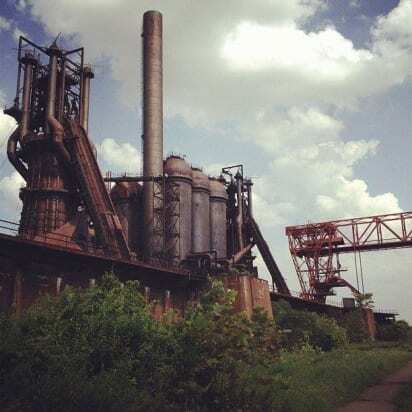 In honor of Pittsburgh’s steel past, Steel to Sustainable Festival will take place on Saturday, April 23rd from 7:00 – 11:00 PM at the Carrie Blast Furnaces at the former U. S. Steel Homestead Works. This ticketed event will benefit Rivers of Steel National Heritage Area. The event will feature local food trucks, craft beer, live music by Kelly Strayhorn Theater’s Soundwaves Steel Band, Colonel Eagleburger’s Highstepping Goodtime Band, and Cello Fury. In honor of the 100th anniversary of the hard hat, local artists will be participating in the Hard Hat Art Project to raise funds for Rivers of Steel. In celebration of our city’s transformation, the event will run on solar power thanks to Zero Fossil.